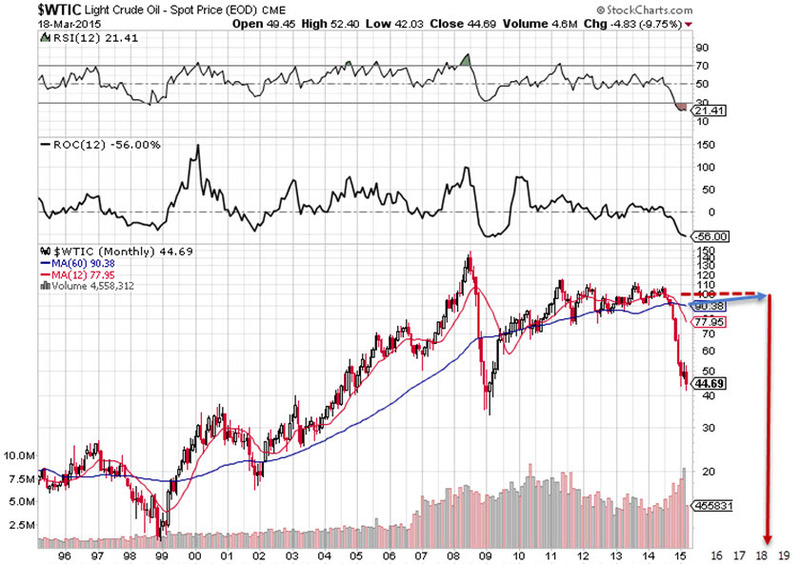 Here’s a 20-year look at the price of crude oil ($WTIC). $100/barrel will be back before most people expect — perhaps in the 2018-2020 range. Unless somebody propagates a successful and sustained fusion reaction in their garage. It is interesting that the slope of the long-term trend following the Great Recession resembles what we’re seeing for top-line growth from all companies, collectively. This report is offered as an example of the analysis performed during a stock study that you might experience with investment club partners. The champion and grandfather of the modern investment club movement, George Nicholson Jr. CFA focused attention on the overall quality of companies and suggested laser type emphasis on sales growth, profitability and valuation trends while building a return forecast for companies that we study or own. At Manifest Investing (www.manifestinvesting.com) we feature several companies each week — generally triggered by (1) positive or negative shifts in fundamentals or (2) stocks that are widely followed by our community of long-term investors. If you’d like to explore the resources for long-term investors at Manifest Investing, send a request for a test drive to manifest@manifestinvesting.com and we’d be glad to give you some time to kick the tires. LKQ (LKQ) provides replacement systems, components and parts needed to repair cars and light trucks, primarily in North America and Europe. Think fender bender. That’s LKQ’s cue to spring into action. 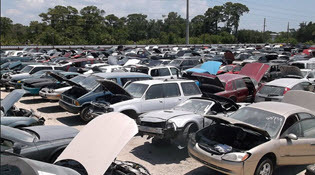 LKQ buys wrecked cars at auction and distributes the reusable parts to collision repair shops. It also provides aftermarket parts services. Customers include repair facilities and insurance companies. The industry is hugely fragmented. LKQ deploys an aggressive acquisition strategy. It’s easy to see why this company captures the attention of many investors in our community. The up, straight and parallel images suggest a great deal of consistency in an industry that is fairly challenging and very competitive. The Value Line low total return forecast is 14%. Focusing on recent history and expectations for our 5-year time horizon, a sales growth forecast of 12% seems feasible. This could be vulnerable to an industry shift from repair to replace. We’ll probably take a closer look at the Retail Automotive industry — and its massive recent performance — and check that against some longer term history from trade/industry data to condition and build growth and profitability forecasts. The projected net margin is more likely at 6% but Value Line is using 8.1% for their 3-5 year forecast. Shareholders hope that the Value Line analyst (Iason Dalavagas) is right. A projected average P/E ratio of approximately 20x seems to be in order for this consistent performer that is still a medium-sized workhorse slogging away quite well in an extremely fragmented industry. But they’re becoming the 800-lb gorilla or at least they’re on the way to the jungle. The Morningstar price-to-fair value (P/FV) ratio is 98% making them a little less optimistic. The S&P P/FV is 78%. The analyst consensus estimate (ACE) for 52-week total return is 33.9%. It’d be interesting to see how that would be impacted by any shift in industry repair/replace trends. LKQ has a 40% debt-to-capital ratio and the effective interest rate is 6.39% (lowest quartile) so it’s not a leisurely walk through the junkyard. There are some junkyard dogs lurking that bite. Morningstar reduced the financial health to “B” and this will lower our financial strength composite to 72%. The overall quality ranking will still be 95 (Excellent). Our projected annual return (PAR) is 15% based on 12.2% growth, 6.3% net margins and a projected P/E of 20×. 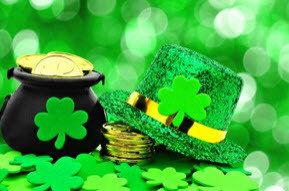 Happy St. Patrick’s Day, Daniella! After spending last weekend in Chicago with some Badgers, Spartans, Buckeyes and various other varmints, I was reminded that Chicago starts St. Patrick’s Day early with a parade on Saturday. The streets were packed with throngs of green-clad celebrants and we watched as the Chicago River was dyed green in compliance. I’m not sure I understand the difference between an Irish proverb and an Irish saying … or what is the meaning behind the bovine suggestions here. But given a choice, I think every portfolio needs more than one cow to avoid the adverse effects of cow tipping. Chicago also honors a famous cow with a play every March, “When Irish Cows Are Smiling.” Set in March 1872, five months since the Great Chicago Fire, the MOO-morial service, held at the Diggum, Deepe & Dye Funeral Parlour, pays tribute to Mrs. O’Leary’s cow, Daniella Joy, the infamous firebug. The average Value Line low total return forecast for the companies in this week’s update batch is 3.9% — slightly higher than the 3.7% for the Value Line 1700. Value Line Low Total Return (VLLTR) Forecast. The long-term low total return forecast for the 1700 companies featured in the Value Line Investment Survey is 3.7%, up slightly from 3.6% last week. For context, this indicator has ranged from low single digits (when stocks are generally overvalued) to approximately 20% when stocks are in the teeth of bear markets like 2008-2009. Breaking News: Rite-Aid (RAD) actually has a financial strength rating (2%). While Value Line maintains its “C” (0%) rating on Rite-Aid, Morningstar checks in with a “C” … and the effective interest rate is still steep at 6.8% but it is better than it was! This demonstration portfolio invests the maximum allowable 401(k) in stocks. Total assets reached $1,000,000 in 17 years. Tin Cup has outperformed the S&P 500 since inception (1995) and the annualized total return is now 18.6% vs. 9.9% for the S&P 500. The total return for the trailing year for Tin Cup is 20.1% versus 13.9% for the Wilshire 5000 (VTSMX). And not to “jinx” the free throw shooter during March Madness … but we can probably start thinking $2,000,000 count down fairly soon. The second million won’t take nearly as long as the first. The most “green lights” are on Chart Industries (GTLS) with a nod to Precision Castparts (PCP) a long-time community favorite. We also note that — despite a solid 2014 (+26.6%) — Berkshire Hathaway (BRK-B) is still a pretty good idea. And a far, far better idea than reading what Berkshire Hathaway has bought and chasing those purchases. It’s a recipe for disaster … or at least erosion of several percentage points of total return. This tribute was originally shared in October 2012 edition of Expected Returns … but since we’ll be talking about Walter Schloss and some of his screening preferences — we wanted to remind subscribers and future subscribers about Schloss and his fabulous track record. This month, we celebrate his approach to investing — including a nod to Warren Buffett (Ben Graham) and Value Line. 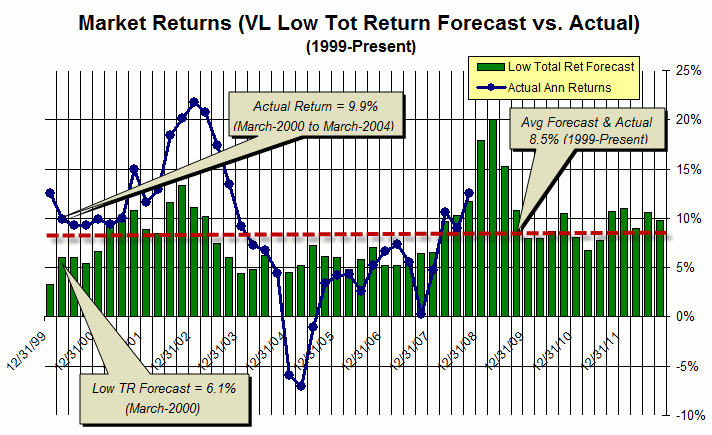 Value Line Investment Survey Low Total Return Forecast (1999-Present). Was the faith in Value Line held by Walter Schloss misplaced? Why does Manifest Investing focus on the low total return (VL LTR) forecasts at Value Line? We think Walter’s faith was well-founded and that Value Line has the potential to deliver outstanding opportunities as a trusted resource. Since 1999, the average quarterly low total return forecast for the Standard Edition has been 8.5%. The actual quarterly returns have been 8.6%. We think it’s a really good idea that MANIFEST PAR tracks LTR, in general. Schloss shared the following investing guidelines in a presentation dated March 10, 1994. As we’ve said before, and we’ll be happy to repeat — when an extremely successful investor with a track record that spans more than five decades says, “Listen up. This is what is important.” We listen. Price is an important component of the return forecast equation. The expectations we build for the companies we study necessarily seeks superior returns. We’re here for the returns. Superior long-term performance depends on the discovery of better returns — based on attractive prices. The value of any enterprise is a combination of book value and the discounted value of a future stream of cash flows. Remember that capital structure is a management decision — and that we expect our leaders to prudently pursue the optimum blend. That said, a company steeped in debt makes interest payments and in the case of failure, common stock holders are often deserted. It’s quite a challenge for a company to go bankrupt with no debt — prudent advice for beginning investors. Value Line Forecast Efficacy (1999-Present). This graphic profiles the collective low total return forecasts for the Value Line Investment Survey. The green bars represent quarterly four year forecasts based on the 3-5 year median projected low total return. The blue graph provides the actual results four years later. As shown, the second bar from the left represents the 6.1% low total return forecast on 3/31/2000. The second blue dot from the left on the line graph is the actual returns realized for the trailing four years ending 3/31/2004 — the forecast period. The average forecast and average actual result is 8.5% with periods of optimism and pessimism from 1999-present. What are the threats to your assumptions for growth, profitability and valuation? Have you digested the bulls case vs. the bears case from sources like Morningstar? How about the 5-and-3 influences discussion from sources like the Motley Fool Stock Advisor. Do you believe that our approach to understanding the trends associated with growth, profitability and valuation work? If so, let them work. We know that our mettle will always be tested. The discipline of building expectations and vigilantly monitoring for threats and opportunities with respect to a few key factors makes it easier to adhere to our convictions and philosophy. It doesn’t hurt to have the peer pressure and source of ideas from a community of like-minded investors, either. Buy. Hold. For as long as it makes sense to do so? We think the analysis should be a CONTINUOUS process. Is your return forecast for any stock below money market rates. Market levels? With respect to market barometers, what is the median return (MIPAR) for all stocks? Does your overall portfolio PAR need bolstering? If not, don’t hurry. But if it is, don’t wait. NAIC co-founder George Nicholson also liked to monitor trailing period low prices, usually 3-5 years. The key takeaway is to de-emphasize stock price. Heed the chronicle of return forecasts. Keep your eye on the projected returns. Earnings and P/E ratios are the staples of the underperforming rhino playground. Earnings fluctuate. Stock price follows earnings — but the focus should be on long-term trends. Build an understanding of (1) the top line and growth, (2) the profitability trend and (3) the valuation characteristics — particularly as a function of life cycle and industry-specific tendencies. We don’t buy earnings streams. We invest and own successful enterprises. MANIFEST 40: September 2012. 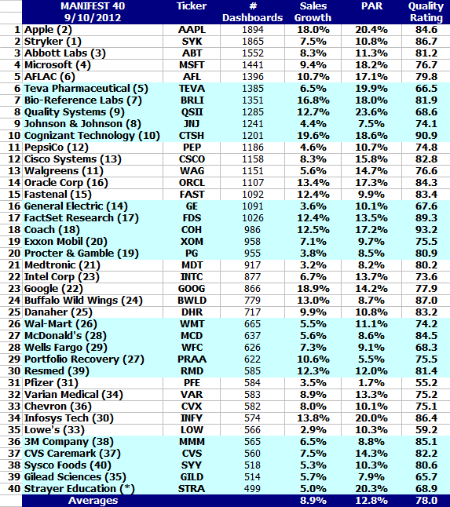 Our quarterly summary of the (40) most widely followed stocks by Manifest Investing subscribers. Apple (AAPL) finished its ascent up the list, dislodging Stryker (SYK) from the pole position. The outperformance accuracy of the MANIFEST 40 is 69% with an overall relative return (alpha) of +4.9%. We agree. We respect the achievers all around us. As a case in point, the relative return (alpha) of our quarterly summary of the (40) most widely-followed companies by MANIFEST subscribers (shown here) is +4.9%. We believe in the wisdom of communities and our experience has been that this is a place where ideas are born. Incomparable advice. We believe that the comprehension of return forecasts (PAR) based on the major milestone judgments (growth, profitability and valuation) and quality enable patience and discipline. Stay invested. That doesn’t mean stay 100% in stocks at all times. It is OK, highly desirable, to hold cash equivalents for as long as it takes to shop. Near market tops, we think selectivity is important and opportunities should become more scarce. Incremental impact matters. Using the +4.9% relative return of the MANIFEST 40 as an example. $100 invested for 40 years at 8.0% attains a value of $2172. Achieving 12.9% over that same 40 years turns $100 into $12,816. Every percentage point increment matters. Big. True. But carefully consider balanced investing and asset allocation when you’re ready. Two words. Great Recession. What was so great about it? 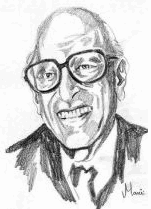 Speaking of great … Thanks, Walter Schloss, for these 16 nuggets. He showed us that superior performance is possible and told us how to do it.